Suzette “Suzy B” Stackhouse Smith was born March 11, 1959 in Mullins, SC to Joan B. Stackhouse and the late Roosevelt Stackhouse. 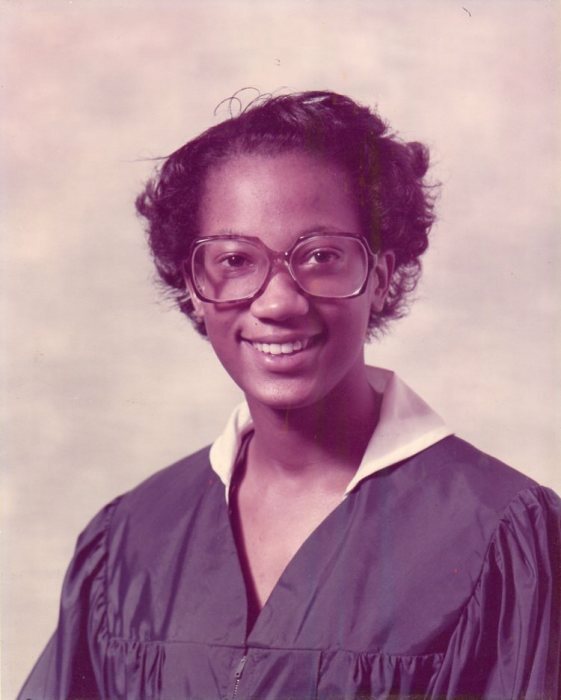 Suzette, also affectionately known as “Midget” graduated from Mullins High School in 1977. Midget was a friend to all. Her sweet and giving spirit was loved and cherished by many. She always did all she could to keep everyone she encountered happy. Fond memories of her life will be cherished and remembered by her mother, Joan B. Stackhouse; five children: April S. Gause of Mullins, SC, Edwin Smith II of Wayne, NJ, Anthony Moody, Corey Moody and Kelvin Stackhouse of the home; two sisters: Roseann Stackhouse Williams (Maurice) of Washington, DC, Deborah Chisolm of Harrisburg, PA; two brothers: Roosevelt Stackhouse and Anthony Stackhouse of Mullins, SC; eight grandchildren: Anea, Reanna, and Ron Gause, Khamani Moody, Kamiya Stackhouse, Corey and Christopher Moody, and Eloise Smith; two nieces and three nephews; and a host of cherished friends.